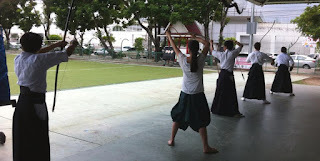 Siam Kyudo Kai: Start practicing Kyudo in Bangkok, Thailand. 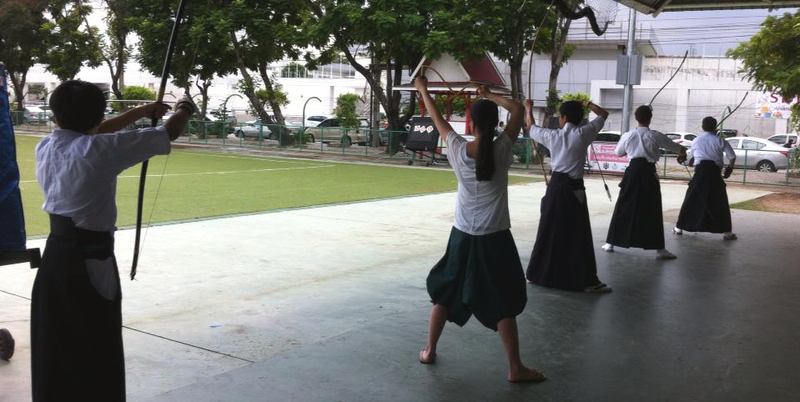 Practicing Kyudo in Bangkok, Thailand, is a bit difficult. At the moment we still do not have a formal dojo and our practice time is limited to 1 day per week. More dedication and self training is necessary for everyone in order to move to the next step of learning. 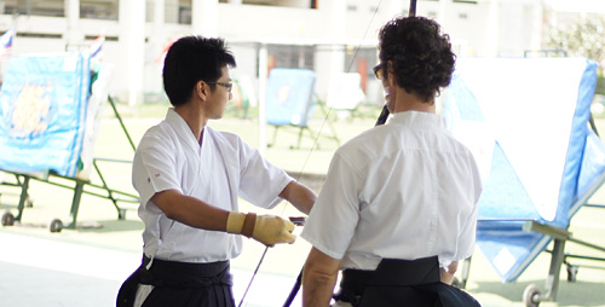 It takes around 4 to 6 months of learning the basic until a beginner can start shooting at 28 meters (Kinteki). Most of the time, our new member will start training the eight stages of shooting (Hassetsu) with gomuyumi for a month or two and then move to practice with a bow without arrow(Tsubiki) for one more month approximately. 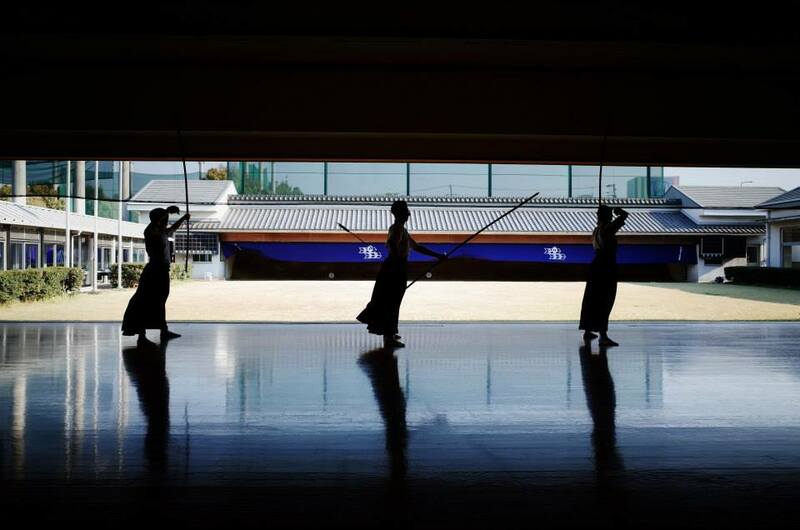 When the movements and form are more stable, beginners will start shooting practice at close range (makiwara) until they are ready for standard shooting practice at 28 meters. Nonetheless, with much dedication, time and effort, many of our new members can pass through the stage of basic training. Last Sunday, Tang and Kai shot their first arrow at 28 meters, this made us very happy.